With a staggering 2.25 billion plus cups of coffee consumed around the world every day, it is fitting to state that the coffee industry is thriving and will continue to do so for long. As more and more consumers, especially the younger ones are learning about and adopting speciality coffee, retailers are leaving no stones unturned to attract their consumers with novel coffee offerings. We are living in a fast-paced world where people want their coffee ready to drink in the shortest possible time and they want something unique. In such an environment, many retailers are trying to get coffee back in the stores with what is now the latest trend in the industry – Nitro Coffee. Essentially, Nitro coffee is cold brewed coffee with nitrogen lending it a foamy, smooth texture that is often compared with craft beer. Millenials want more out of their coffee than…just Coffee. They expect a niche, more aesthetically pleasing coffee, something that is presentable for social sharing. This has given rise to Latte Art with vibrant and unusual colours and designs to appeal to its consumers. In lines with this trend, the Rainbow Latte revolution continues to top the popularity charts over regular lattes, this year as well. Not just high street coffee brands but retail coffee brands too are now realizing that a striking, eye-catchy packaging design can help them flag off their products from the shelves faster. Coffee consumers today have a better understanding of the coffee flavour profile and appreciate brands offering them a packaging experience beyond the regular. One of the brands to adapt well to this has been Nescafe – the brand’s recent packaging focussed on an expressive and provocative designing centred approach, to communicate the satisfaction and pleasure connected with a gourmet coffee experience, rather than only taste. Healthy living seems to be the trend of the decade and it is no surprise that people are expecting more transparency about what they are consuming and the nutritional value of it. 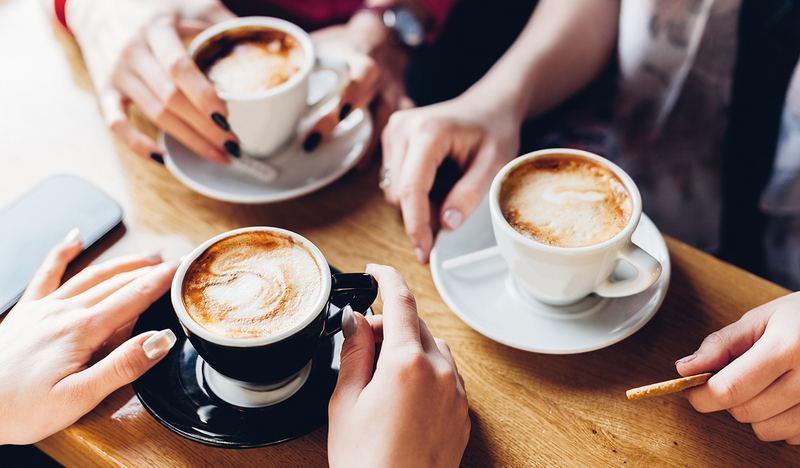 Coffee brands too are trying to align themselves with this trend by offering more transparency so as to gain customer trust. Starbucks has already committed to reducing the sugar content in its beverages and hopefully, other coffee brands will follow suit. As a next step, they need to step up on the packaging front as well and come up with new ways to communicate the nutritional value of their products, to truly offer their consumers the transparency they seek. Have you experienced or noticed any other interesting coffee trends around you? We would love to know about them so do share with us below. But first, Coffee!